This is a scheduled post. I'm currently on vacation with my family in Gaitlinburg, Tennessee. The other day I mentioned I had put up a Christmas tree. 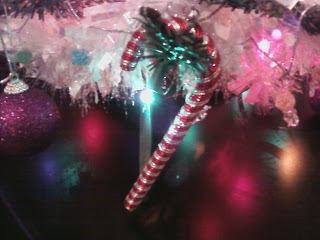 I absolutely love Christmas and the holiday season, so I decided and felt like putting up a tree. When Halloween comes around...I'll still put up Halloween decorations lol. 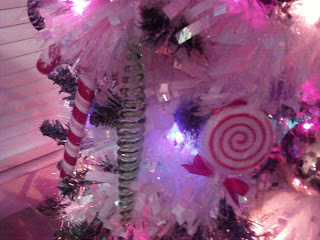 Anyways, here's some up close photos of my Willy Wonka theme tree. And...yes they're cell phone pictures because my camera cord is already packed away. So there you have it. 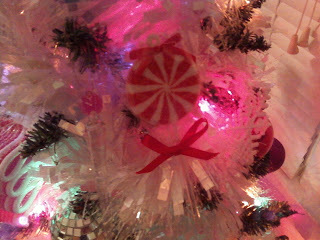 That's the start to my Candy Willy Wonka theme tree. 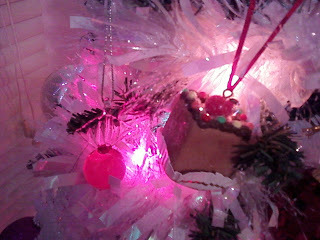 i still cannot believe you have a Christmas Tree up already...but it looks wonderful! hahah i love the pickle. we do it every year. 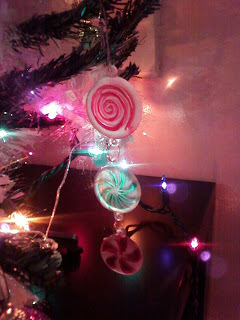 Your tree make me want indulge in a lot candy. I love the decorations, great choice! I love it!! It's so cute! 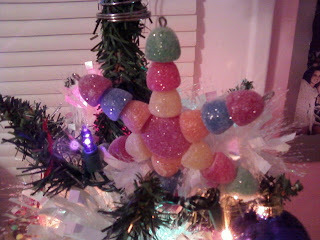 (Even if it is a bit early for Christmas trees :)) Stonewall and I do the pickle also. At my parents house, though, when I was in like 10th grade we started the same pickly tradition except we use an Oreo cookie. Haha! Have a great time with your family in Tennessee!! 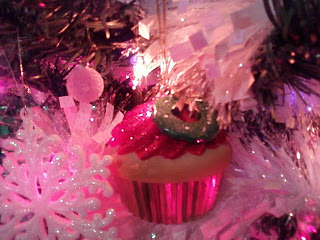 I can't wait to put up my Christmas tree!!!! Your's is very adorable! I hope you have a great time in TN! 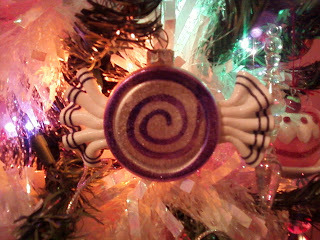 How pretty... now I want to put up a tree... haha! and the random pickle...cute touch. hope you are having a great vacay! LOVE IT! We have a pickle too!! I love this! My husband thought it was too early for halloween decorations...so I started to sneak them out..im going to do a post about :) Love love love that you already have a tree up! Very cute... hey I wanted to make sure you found me back since I changed my address. 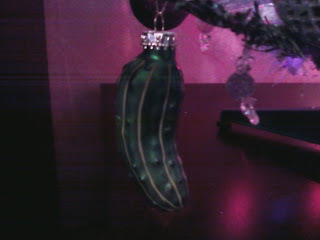 We have a pickle ornament as well! 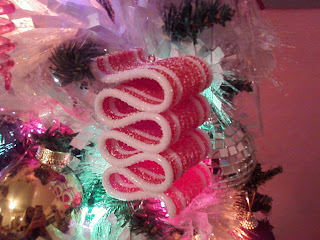 I would rather have Christmas decorations than Halloween decorations, myself. 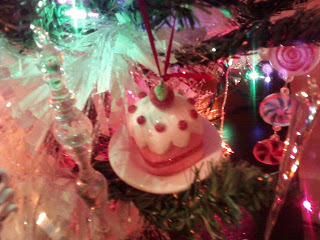 :) CUTE tree, very classic. Too cute! HOpe you are enjoying your vacation!! Either Willy Wonka or Hansel and Gretel. Have fun in Gatlinburg! HOW STINKING CUTE!!!!!!!!!!!!!!!!!!! LOVE it! 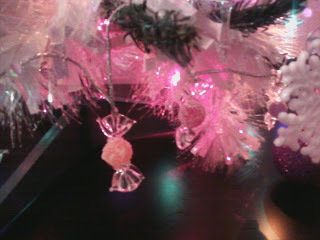 looks like a cute tree!! You do everything early, huh? We do the pickle too!